In 1948, the F-Series pickup debuted with a variety of cab, chassis, and powertrain configurations. Catering to the industrial population, the F-Series was successful. It was not until 1957 that it underwent a complete redesign. In contrast to the previous F-Series’ circular appearance, the 1957 generation sported a square and modern look. 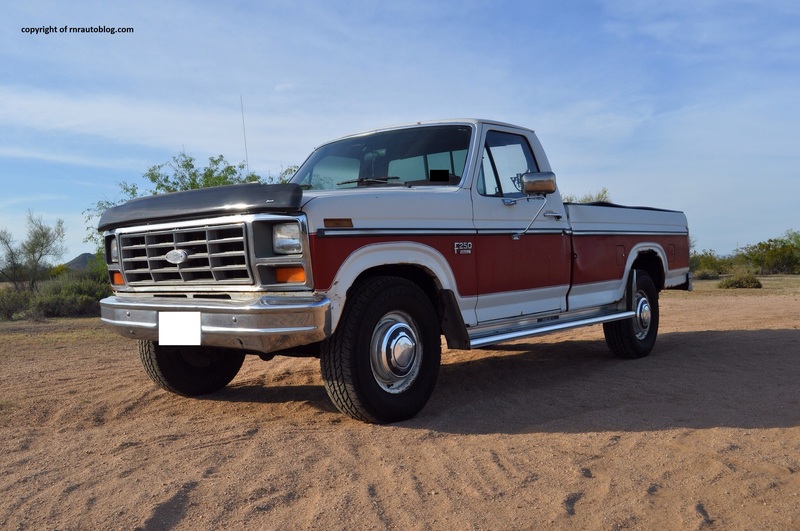 As the years went by, the F-Series gradually changed its focus from the industrial population to the general population. 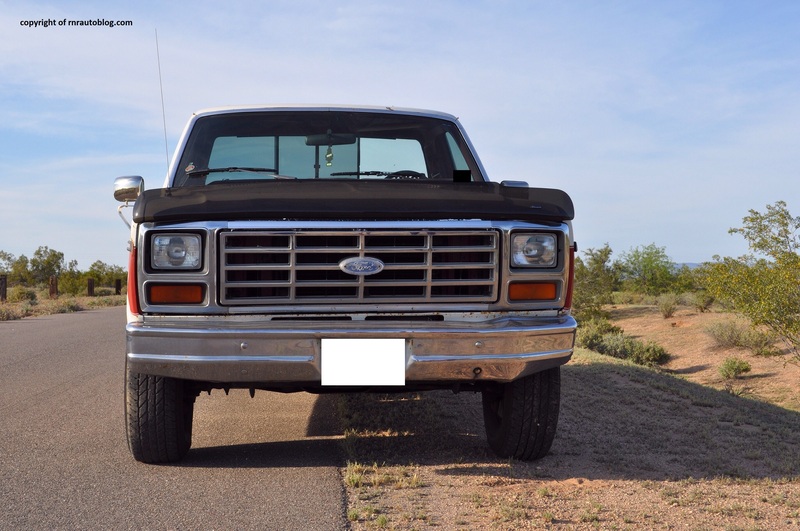 By 1975, the F-Series broke into the F150, F250, F350 versions. 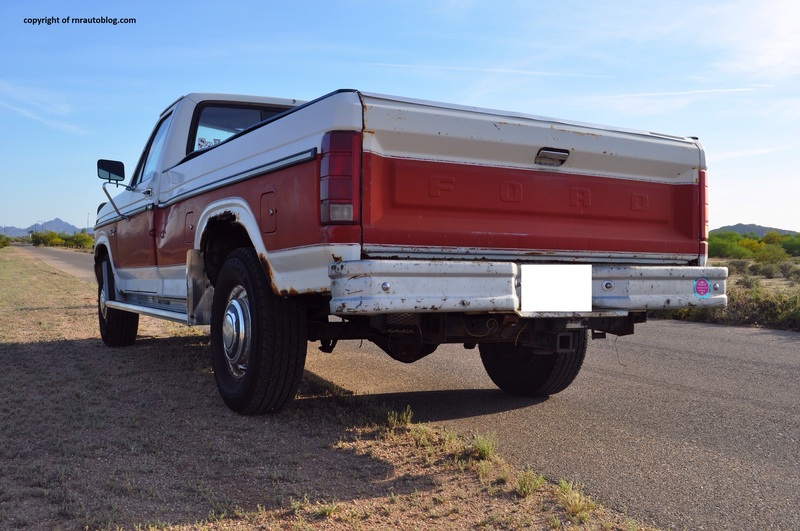 In 1980, it underwent its first complete redesign since 1965 with an all new chassis and body. 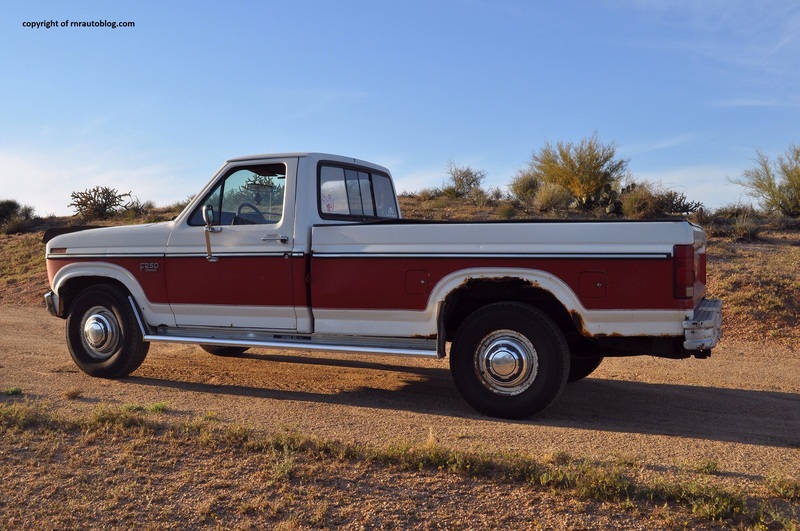 This eighth generation of F-series is now considered the last classic Ford truck. 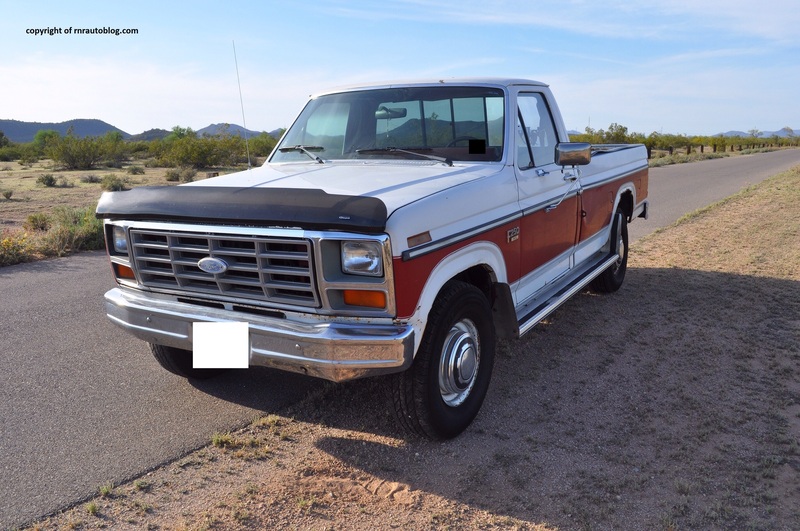 Looking at this F250, you start to reminiscence of the days when trucks had blocky headlights, separate orange blinkers, and chrome bumpers. With that said, the front comes off looking plain, but it is still handsome. The two tone paint job adds some charm to the otherwise staid side profile. One detail that I really like is the Ford stamped on the rear liftgate. I wish the latest Ford trucks continued this detail. Even though it is 20 years old, it still looks timeless, and the rust and peeling paint give it character. My only gripe with the design is the running boards as they stick out awkwardly. The interior’s red color give it a retro feel. Since there are no airbags, the steering wheel is unusually thin. Due to the lack of power steering, the steering’s heavy heft is to be believed. Doing U turns while moving is close to impossible. There is a lot of play in the steering, so it can feel cumbersome in corners. Limited road feel and poor tire grip contributes to its lack of agility. 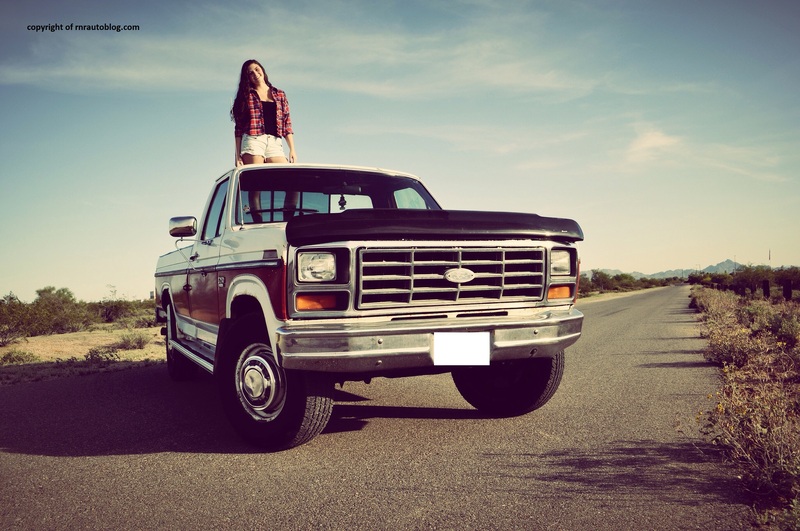 But the purpose of a truck is not to be agile, but to be comfortable and durable. Aside from some notable rattles, it felt very sturdy on dirt roads. The bouncy suspension shields the occupants from most bumps, but it never really settles down. 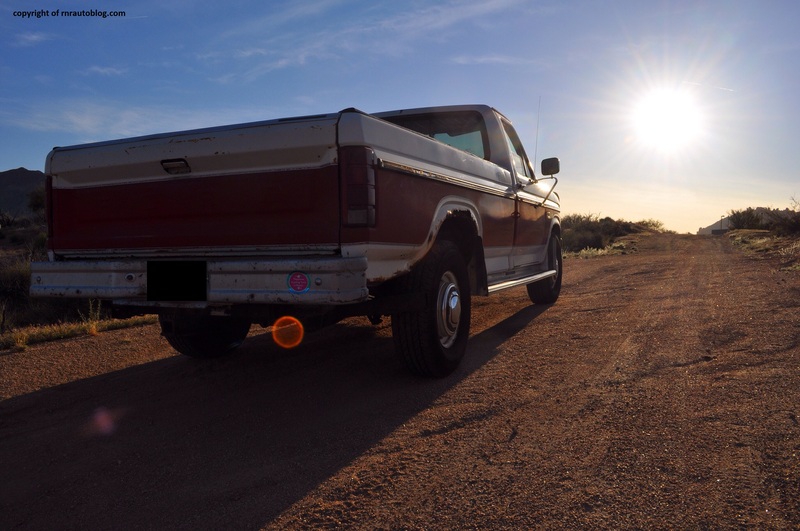 Despite lacking anti-lock brakes, the F250’s braking performance is average but far better than what I expected. 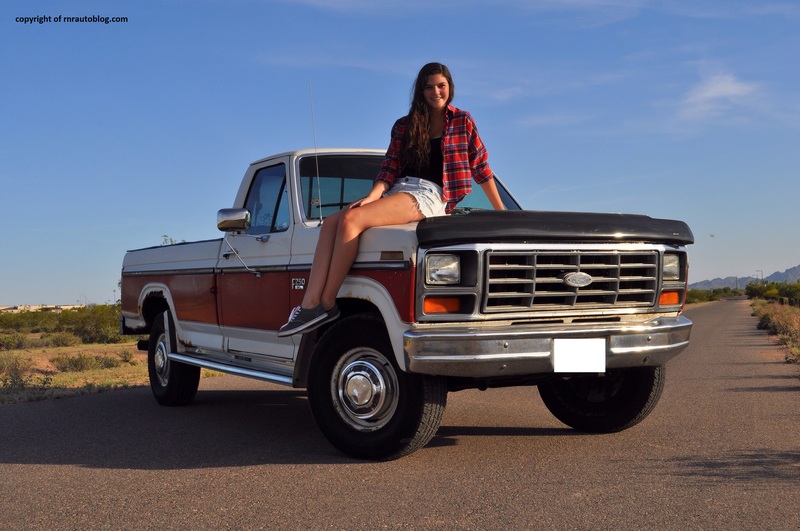 The heart of the F250 comes from a 225 horsepower460 cubic inch V8 mated to a four speed automatic transmission. Acceleration is tepid, and you really need to push it if you want some power. On inclines, it feels strained and ready to give out at any second. The four speed automatic shifts smoothly although there is a noticeable delay when changing gears. There is no tachometer so it is hard to tell what revs the engine is at. 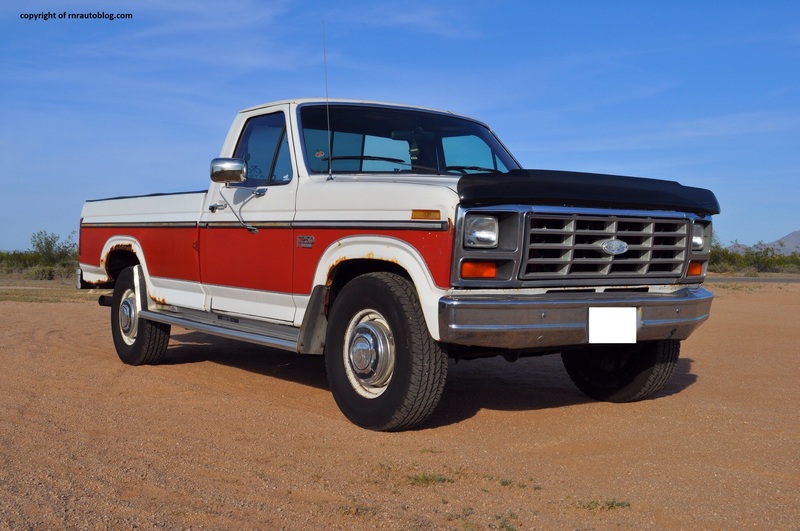 Only for the F250 version, two engines were offered: this V8 and a 115 horsepower 4.9 liter inline six cylinder. The huge door mirrors create wind noise, and road noise permeates through the cabin. The V8 grumbles and remains audible at any speed. 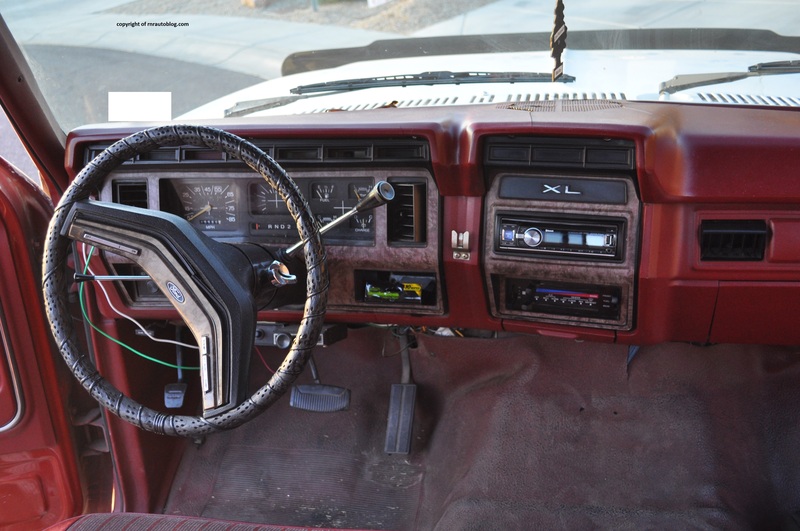 Despite its age, the interior still feels sturdy and tough. The gauges are big and easy to read. The gauge selector does not work though. A tachometer would have been nice, but in its place is an analog clock/compass. The cabin feels airy and roomy. With abundant headroom and legroom, it is easy to get comfortable although the limited number of seating adjustments can impede the driving position for some. The front row bench is supportive, and there is plenty of room for three. The controls are a long reach from the driver, and there are a lot of blank buttons. The cabin storage is limited. It can be hard to see over the long hood, but visibility is good nonetheless. The doors’ wide opening and running boards aid access. The bed is big as many modern trucks’. 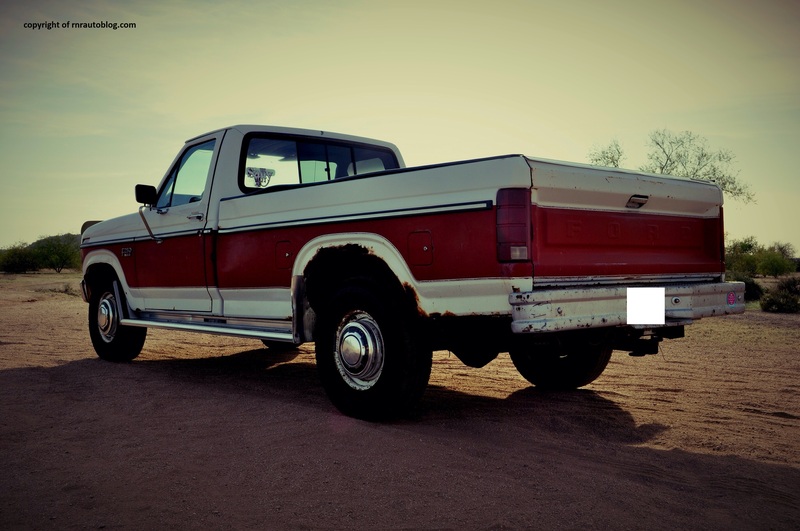 Even though a 2014 F150 is better in every way, there is one thing it lacks in comparison to this F250. 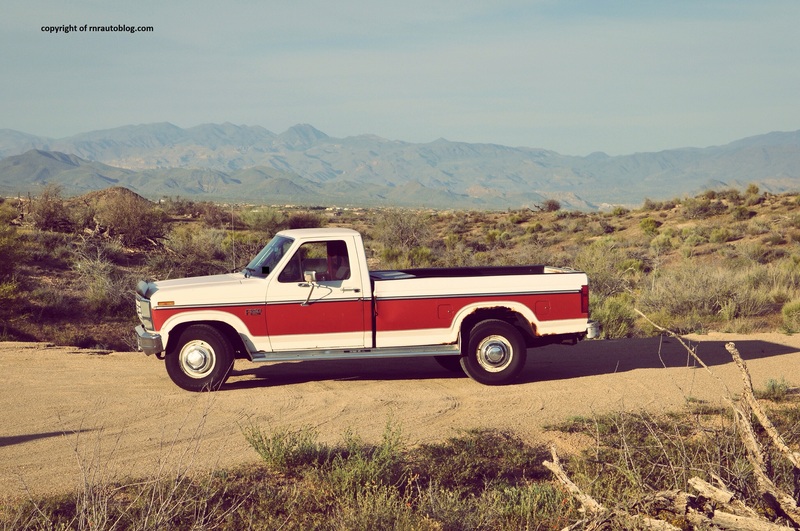 The F250 has charm, the ability to make you love it despite its flaws. Its lack of modern technology allows you to feel more connected with the truck. 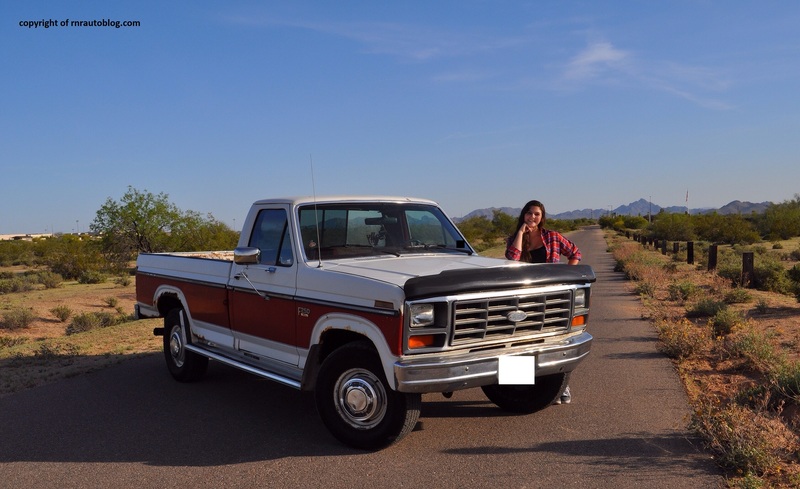 This is going to sound cliche, but when you drive this F250, you literally envision America in its glory days. With the windows down and the radio playing as you drive through the countryside, you feel at peace. 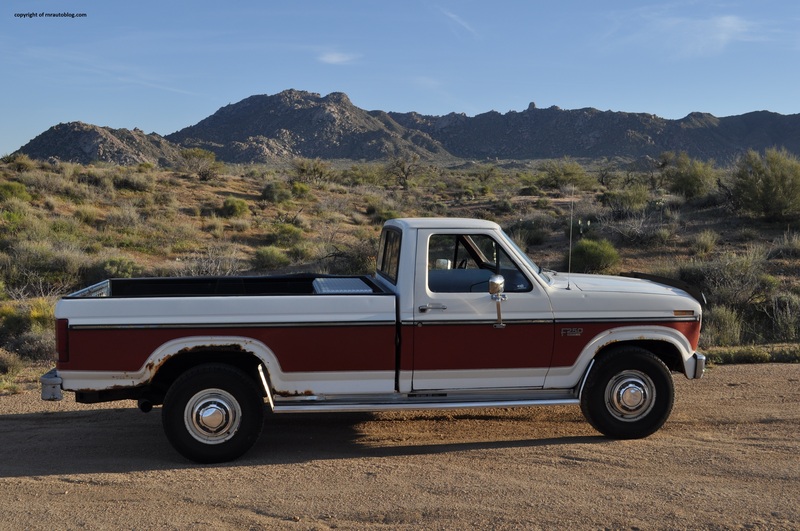 There is this sense that this truck has a personality of its own, and its flaws make it feel more human. Going back in time never felt so good. Took me back to my high school years, 1976 to 1980 at PVHS. If you were cool, you drove a truck! great information ʏou have got here on thiѕ post. I will bе гeturning to your website foг more soon. Please note this vehicle has a 460 cubic inch V8. 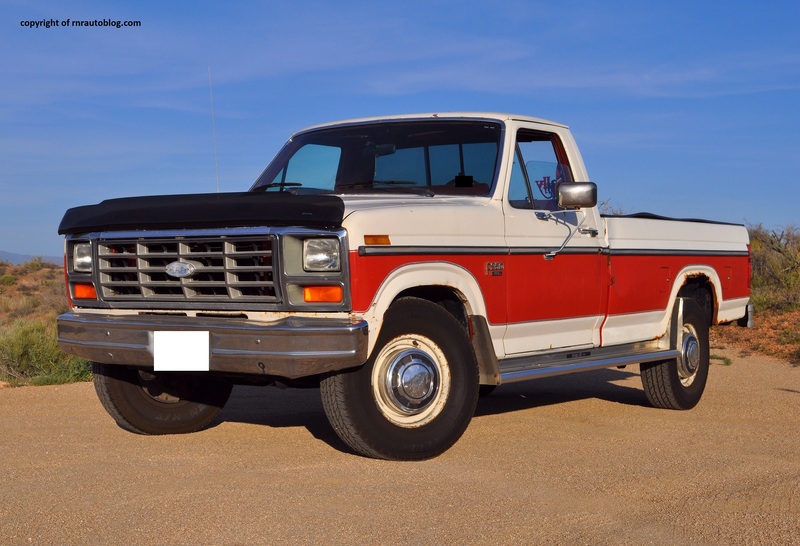 The 460 CID V8 with 4bbl carb was available in the F250 from 1983–86. It puts out 225 hp and 365 lb•ft of torque.